Looking for the Control Bar in InDesign CC 2019? The control bar no longer appears automatically when you install or update Creative Cloud. It now needs to be manually turned on from the Window menu. Why? Because Adobe have introduced the the new InDesign CC 2019 Properties Panel and this opens on the InDesign load. Just like the Control Bar the Properties Panel is also context sensitive and changes according to what is currently selected. Useful but oft ignored is the Split Windows feature in InDesign which gives two views of the same document. For example, one pain in the neck of working in InDesign is when highlighting the text to change the text colour it’s difficult to see the new shade without turning off the highly. That’s because all colours are inverted when selected as can be seen in the screen shot below, the text looks purple in the screenshot but in actual fact it’s green. Most people deselect to view the new colour which can be time consuming if you want to skim through a number of different shades to find the right one. 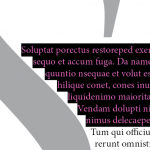 There is an easy solution to this known as Split Window in InDesign. So how can you preview your text colours without committing a number of selection acrobatics? 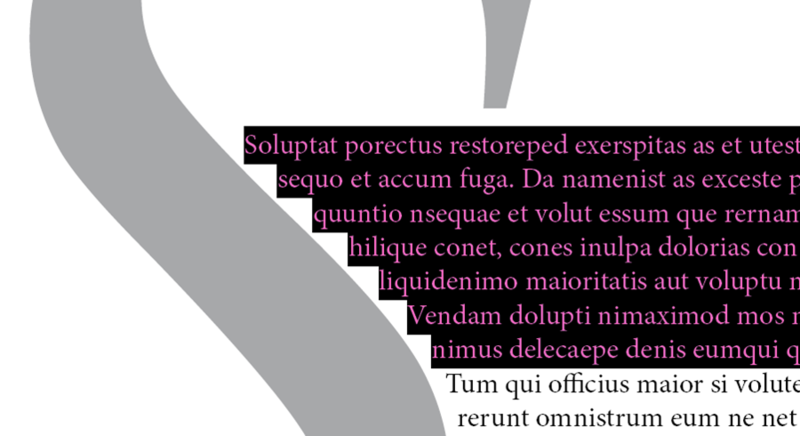 One of the things shown on the InDesign Training Courses is a neat little feature known as Split Window which is ideal for previewing text colour amongst other things. Adobe CC 2019 – During October Adobe released its latest version – 2019 which as usual contains some useful and not so useful features so lets take a look at one particular feature in the three most popular pieces of software, Photoshop, InDesign & Illustrator. Lets take a look at Photoshop first. Marketing are always creative users of Creative Cloud and Photoshop and produce extensively for print, web and social media and will probably find this particular new feature more than useful. Adobe have included a new frame tool which is used to create placeholders for images. Placeholders sit in the document until you want to drop in an image. For example if you have a regular newsletter or banner in which only the content changes every month whilst the layout stays static the Frame Tool would be ideal for you because you can update the image easily without moving or interfering with the layout itself.